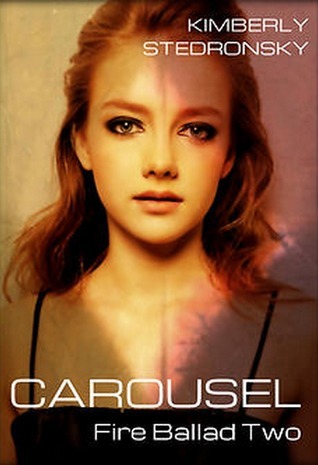 Carousel is the 2nd installment of the Fire Ballad series. Wynn Rush is an immortal who has received a picture of herself dead. There is a serial killer out there, and it looks like Wynn will be his next victim. Cole Mathison is an immortal who has tried to help those who need help specializing in the paranormal mysteries. Wynn who is trying to deal with a mother who can’t remember who she is, along with taking care of her younger sister, and trying her best to keep all of her emotions hidden from her father, needs to seek help and the only person she can think of is Cole Mathison. When Wynn shows Cole why she is need of his help, he is more than happy to help her, to keep her safe. Wynn is the typical shy girl, one who thinks her looks are ordinary, she doesn’t feel as if she is anything special at all, and she wants to one day ask for her immortality to be taken away. Cole can’t help but want to make sure nothing happens to Wynn, including her giving up her immortality before she understands that everything she thinks she can’t experience being an immortal can just be that much better. While Wynn has her first encounter with what is hunting her, she soon realizes that things just aren’t what they seem. While her attraction to Cole is immediate, Cole is fighting his feelings for her. When Wynn’s true destiny is revealed, will be able to handle all that comes with it, or will the evil that is hunting her take her destiny away from her before she can do anything about it? And will Wynn unleash a monster without realizing what it is that she has done? This is another great read from Kimberly Stedronsky, she has the ability to bring out such great characters that you can’t help but fall in love with them, root for them, and wish the very best for each and every one. We get to read so much more of her Roam characters in this book, but that only makes me want more and more. Wynn is feeling like she is alone, her father loves her, but the person she has always looked to for answers doesn’t remember her at all. Cole doesn’t feel like he deserves her love, he feels as if she is too pure for a person like him. But their destinies are intertwined and they need each other more than they realize. I fell in love with Cole in Eighth Note, and this book just proved that he is such a great book boyfriend. Wynn is just the type of character that all girls feel like when they were teenagers (at least that’s how I felt). We get to see more of Eva and her and her wild antics, but that is what makes her so endearing to me. Along with getting more West, Roam, Logan, and Violet this was a great book for me. Posted in Author Biography, Book Review, New Release, Penny Pam, Synopsis. Bookmark the permalink.